"If in my position I can't stand up to this kind of extortion", he wrote, "how many people can?" Years before Trump ascended to the White House, Melchiorre threw a financial lifeline to Pecker's company and ended up with about an 80 percent stake. (That's the fig-leaf justification given by the Enquirer's lawyer.) But because the Enquirer's lawyer offered not to publish the photos in exchange for Bezos doing something valuable for them - namely, a statement from Bezos and his companies "that they have no knowledge or basis for suggesting that AM's coverage was politically motivated or influenced by political forces" - we may have something actionable here. "I prefer to stand up, roll this log over, and see what crawls out". "AMI, the owner of the National Enquirer, led by David Pecker, recently entered into an immunity deal with the Department of Justice related to their role in the so-called "Catch and Kill" process on behalf of President Trump and his election campaign. 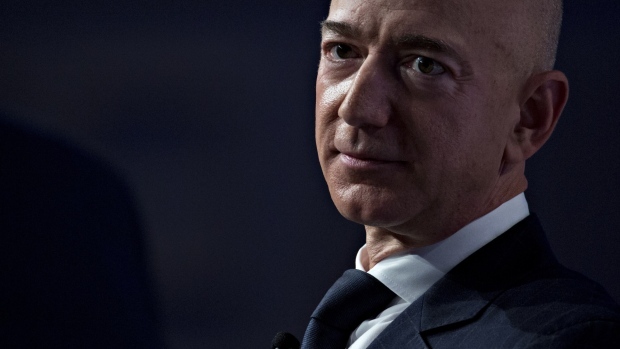 It's a shocking and frightening thing Mr. Bezos has revealed". Bezos commissioned de Becker - his longtime security consultant - to investigate how the material fell into the Enquirer's hands.